I made a conscious effort to stay away from Seoul last month because I feel that I have fallen into the cycle of going into the city almost every weekend. I was successful to some degree, but it is now August and my self-inflicted city ban has been lifted. I kicked off the 1st of August with an eventful day in the city. 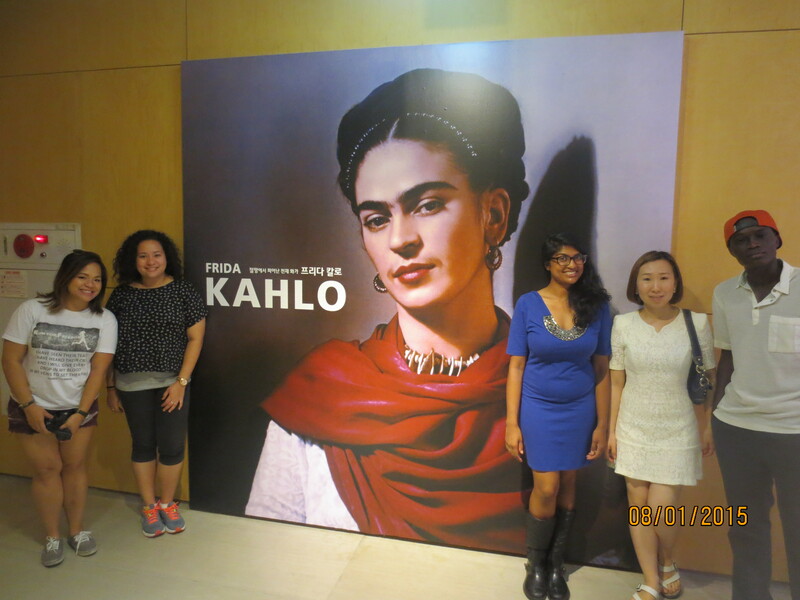 My first stop this month was a visit to the limited time Frida Kahlo Art Exhibit at SOMA, Seoul Olympic Museum of Art. I definitely am no art buff, but I came to see Frida’s work because I was meeting up with a friend from high school who mentioned the exhibit. 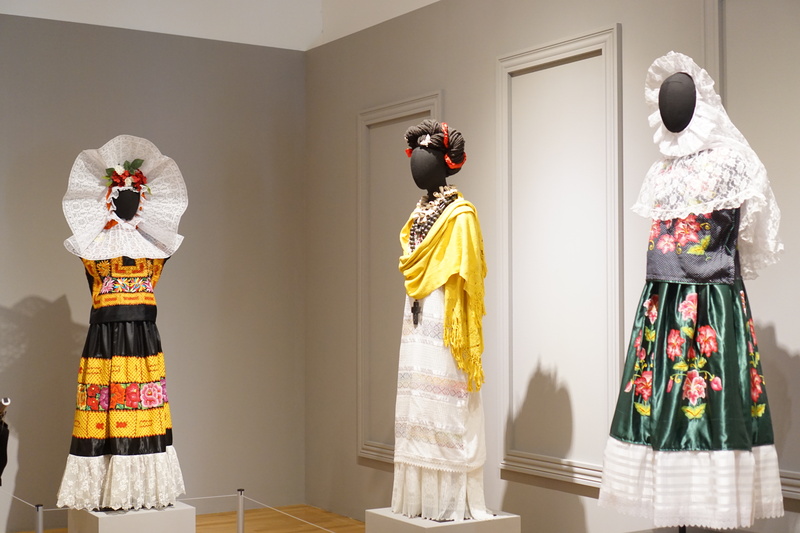 I remember learning about Frida Kahlo when I was studying Spanish in high school, so I wasn’t completely opposed to the idea of spending the morning in an art exhibit. 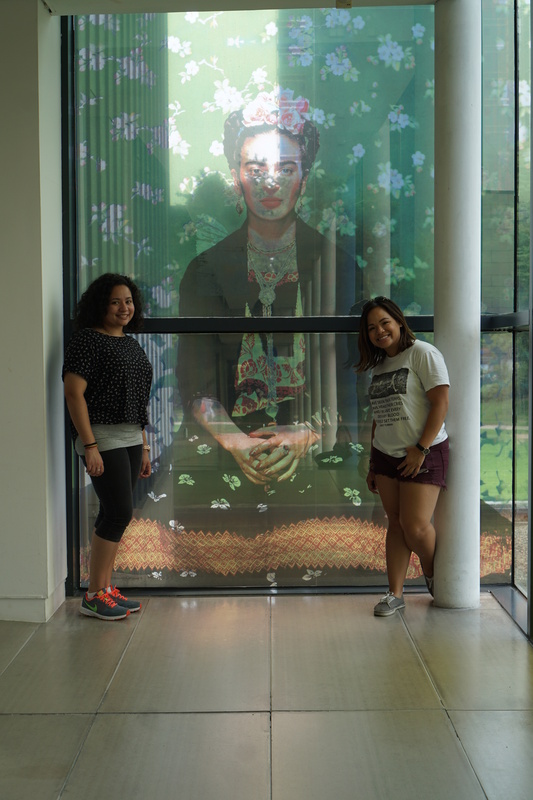 The Frida Kahlo exhibit is currently being held in Songpa District in southern Seoul, from June 6 through September 4. 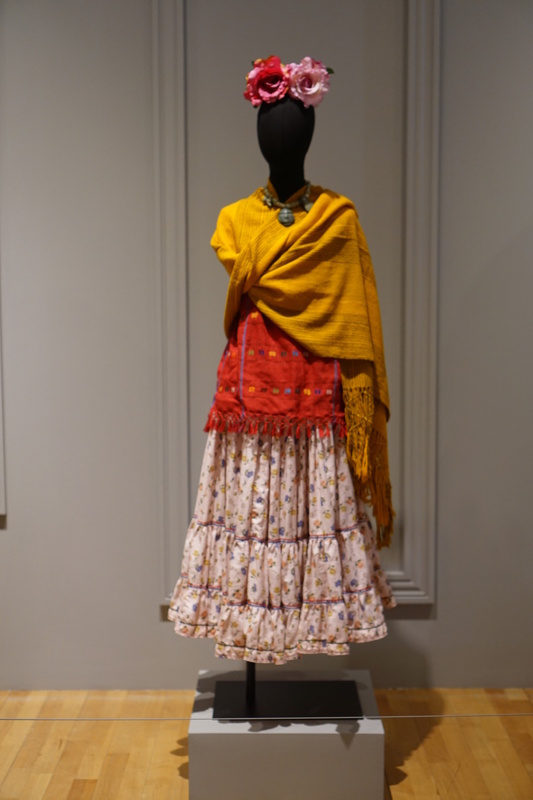 The exhibition presents 70 artifacts, including Kahlo’s paintings, photographs and letters, as well as ten works by her husband, Diego Rivera, another major Mexican artist. The cost of the ticket was 13,000 KRW (~$11.12 USD) which wasn’t too bad for a short review of art history. The thing I love most about Frida Kahlo is her distinctive uni-brow and colorful clothing. One of my former TEFL classmates dressed up as Frida for our class Halloween Party in Chicago and won $100 bucks for having the most awesome costume ever! 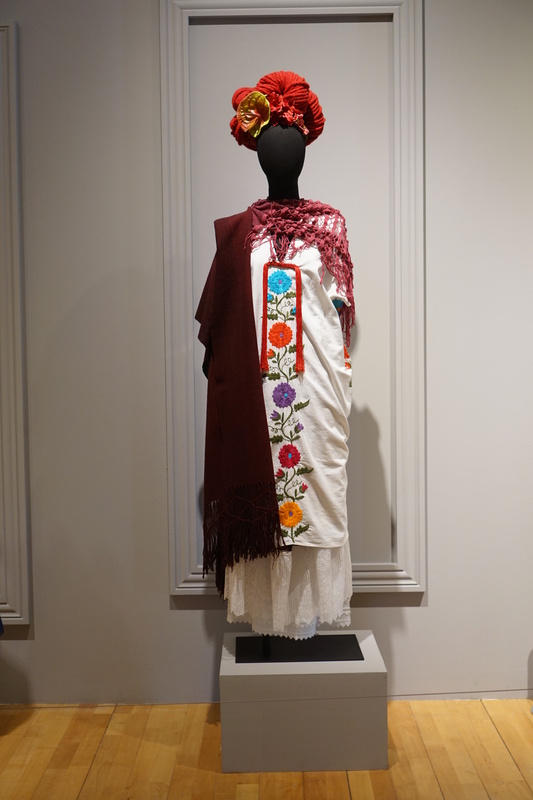 As I was walking through the gallery, I stood in front of the outfits on display and for a moment, I imagined myself prancing around with a paintbrush and flowers in my hair. I doubt that I’ll be going to many art exhibits during my time here in Korea, but I’m sure glad I got to see Frida with an old friend and new faces. This entry was posted in Korea, TRAVEL, Travels, WATCH and tagged Art, ArtExhibit, FridaKahlo, Korea, Museum, Seoul, SOMA, SouthKorea. Bookmark the permalink.